A shelterbelt or windbreak is one or more rows of trees that help reduce the negative effects of wind on crop productively, shelter people and livestock, and improve soil and water conservation. These rows of trees impede wind by acting as on obstacle. Wind is forced up and over a shelterbelt, and is further slowed by changes in air pressure on the sheltered side of the tree line. Along with reducing wind speed, shelterbelts also reduce gusting and turbulence. A well-placed shelterbelt can help keep soil and moisture where it belongs, can reduce snow drifting in the winter, and can lower heating and cooling costs when planted near your home. If you are interested in installing a windbreak on your property, contact PRWIN for more information or fill out a project request form. A riparian zone is the area where the land meets a river or stream. Riparian zones are important pieces of habitat for wildlife, and can act as a corridor for animals moving from one area to another. The trees, shrubs, flowers, and other vegetation growing in this sensitive area also play an important role in the overall protection of our environment. Healthy riparian zones help with soil and water conservation and the filtration of pollutants, they provide important habitat for wildlife, and are a key factor in the shape and quality of the river or stream that they protect. The roots of plants growing in riparian zones help stabilize the soil, which would otherwise erode with constant exposure to flowing water. The aboveground portions of riparian plants act as filters for surface runoff by trapping sediment and nutrients. 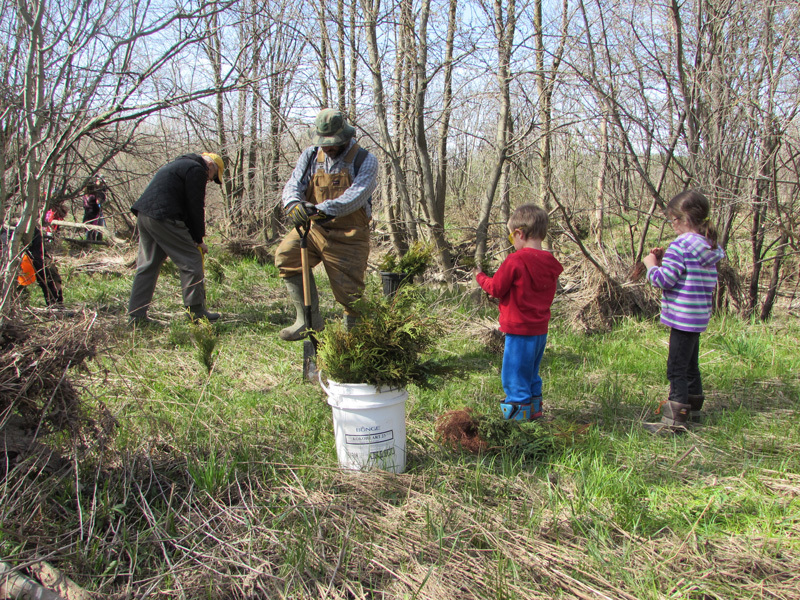 Without these plants growing on the banks of our streams and rivers, surface runoff and erosion would carry sediment and pollutants into our rivers, streams, and ultimately to Lake Huron. Sediment causes murky water, while pollutants (often nitrogen and phosphorus from fertilizers) can cause large blooms of algae that starve other aquatic life of oxygen, and make for unpleasant swimming and water recreation conditions. Forests are an important part of Canada’s landscape, providing a variety of ecological services. Forests are of course valuable for their beauty and the recreational opportunities they offer, but also provide habitat and shelter for diverse range of wildlife. They also store carbon, and help preserve soils. In this way, forests contribute to water and air purification, and are an essential part of the nutrient cycle. Much of the land in Southern Ontario has been deforested for human activities. 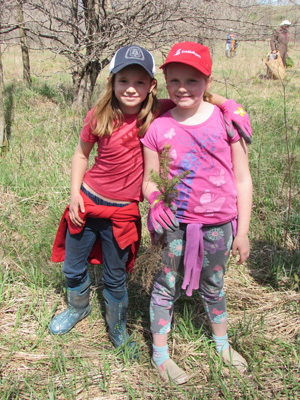 In the Pine River Watershed, less than 10% of our land is forested, well below the recommended minimum of 30% set by Environment Canada for the support of a healthy wildlife habitat. Through the cooperation of local landowners we have been returning pieces of our landscape to forest. To learn more about the trees that are native to our area and what trees you might want to plant, check out the Tree Atlas for southwest Ontario! If you have an area of land that is unused, consider a reforestation project for your property. 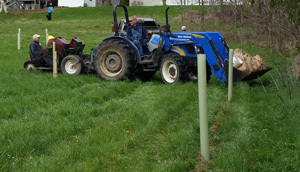 In Spring 2018, PRWIN will have planted over 280,000 trees!